How to make pizza with an easy garlic and black bean spread, cheese and a salad on top. Jump to the Easy Black Bean Pizza Recipe or read on to see our tips for making it. Have you ever been to California Pizza Kitchen? It was a ritual when I was in high school many years ago. There were two pizzas I would order: the Thai Chicken Pizza and the Tostada Pizza. 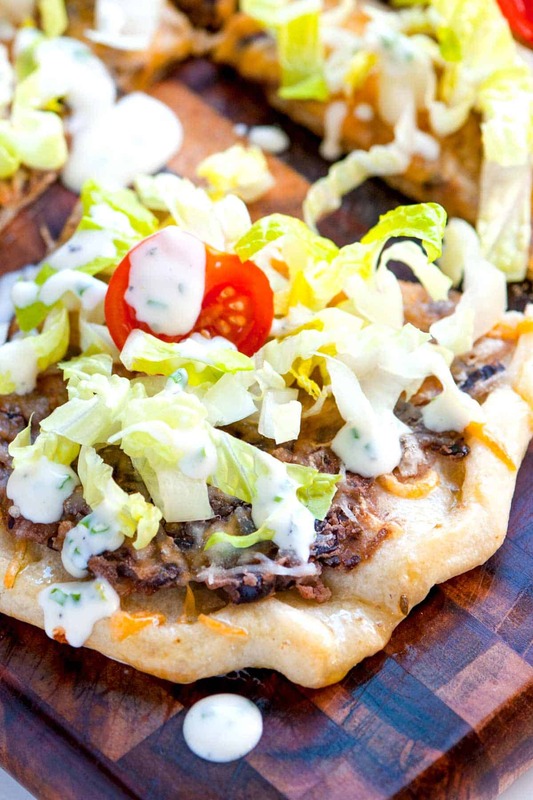 It’s the Tostada pizza that is the inspiration for this black bean pizza. Pizza crust is topped with a creamy black bean spread and lots of cheese. 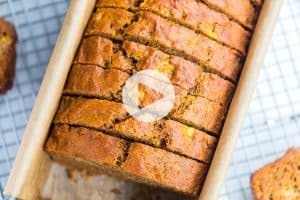 After baking, it is served with crisp lettuce, tomatoes and a drizzle of ranch dressing. I love it. YOU MAY ALSO LIKE: Here’s a quick and easy pizza recipe with an herbed crust, cheese and topped with fresh Caesar salad. 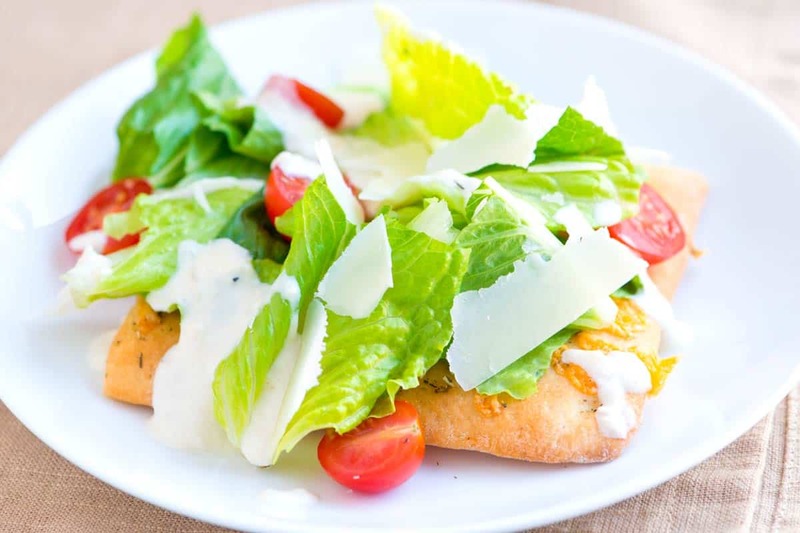 Jump to the Quick and Easy Caesar Salad Pizza Recipe. We used Pillsbury pizza dough, but using a pre-baked dough, homemade dough or refrigerated dough from another brand/store are all excellent options. This would also be fantastic if you replaced the pizza dough all together with flour tortillas. If you are using Pillsbury, we found pre-baking for a few minutes before adding our toppings helped with a crispier crust. While the dough pre-bakes, get the black bean spread ready. Add minced garlic to some olive oil and cook until it starts to brown. Add oregano as well as a can of black beans that have been drained and rinsed. When the beans are heated through, add a few dashes of hot sauce and a little water. When the water has reduced by half, use a potato masher to mash the beans into a chunky paste. Spread the black beans all over the pre-baked pizza dough, and then top with cheese. After baking the pizza, top it with lots of crisp lettuce, cherry tomato halves and your favorite salad dressing. I love ranch with this. 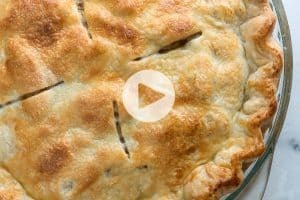 This recipe was originally developed and shared on Pillsbury.com. We use a Pillsbury refrigerated pizza dough in the recipe below. If you prefer to use a pre-baked crust, skip the first step below and do not pre-bake. Or use your favorite store-bought/homemade dough. 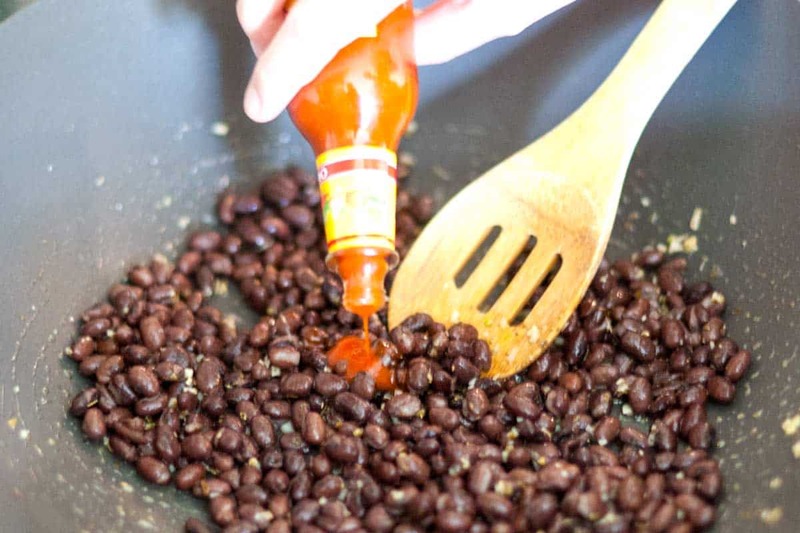 When you open the can of black beans, be sure to drain and rinse them, the liquid they are stored in can be salty. Heat oven to 400 degrees F. Spray or grease a 15×10-inch or larger dark or nonstick cookie sheet. 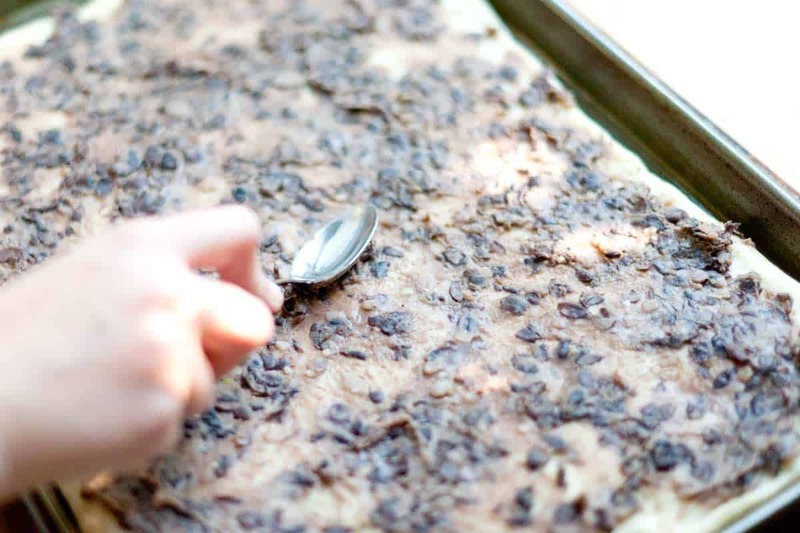 Unroll the dough on the cookie sheet; starting at the center, press the dough into a 15×10-inch rectangle. Pre-bake the crust for 5 minutes and remove from oven. Meanwhile, heat the olive oil in a large skillet over medium heat. Add the garlic and oregano then cook 30 seconds. Stir in the black beans and hot sauce. Pour in the water and cook until reduced by half. Use a potato masher or fork to mash the black beans into a chunky paste. 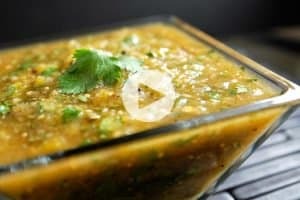 Taste for seasoning, and then add salt or additional hot sauce as necessary. 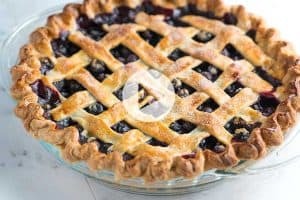 Spread black beans evenly onto the pre-baked pizza crust, top with cheese and bake another 8 to 10 minutes or until the crust is golden brown and the cheese has melted. 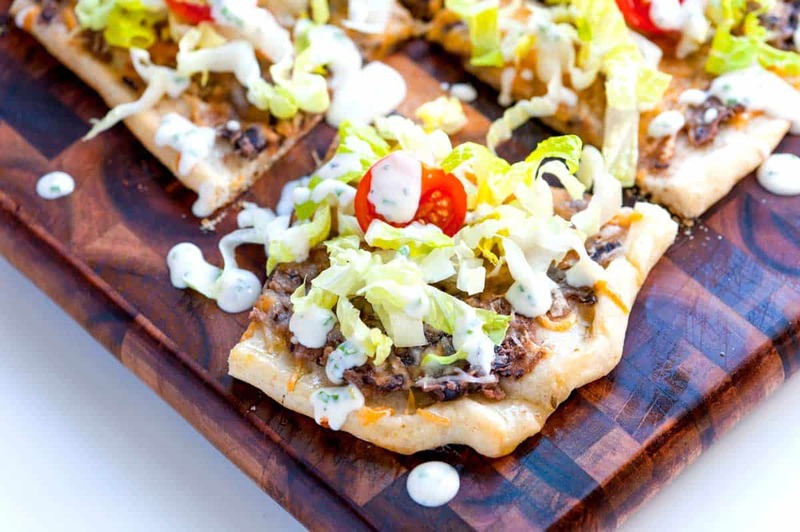 Slice pizza into 12 squares and top with shredded lettuce, tomatoes and a drizzle of ranch dressing. I like to use flour tortilla the black bean, avocado, tomato, and cheese. Top with fresh basil. yeah…this is amazing…I absolutely have to make this soon. So clever!! WOOOOW. I love this. So so much. Making it NOW! okay….later.